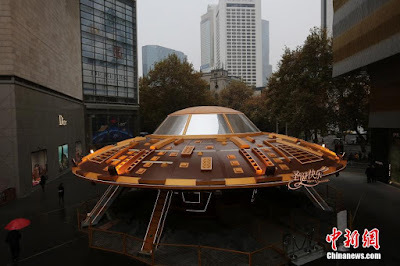 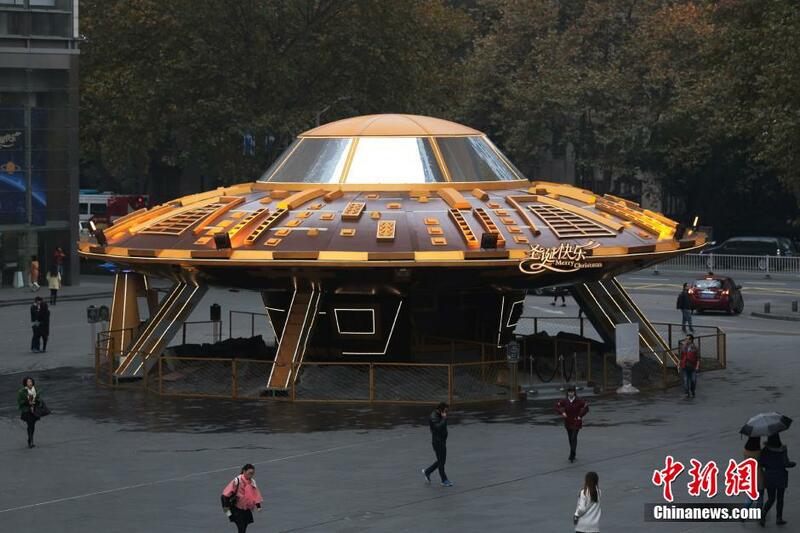 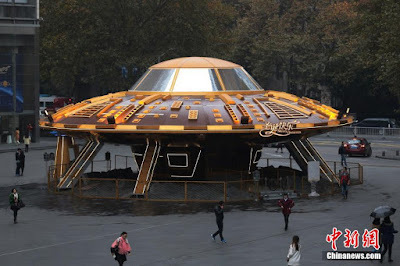 A 9 meter high UFO has landed in China, Okay its NOT real UFO just a UFO-shaped model designed for the public to experience zero gravity weightlessness. 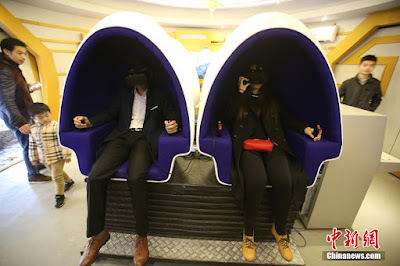 The 18.5 meter wide simulator popped up on Nov. 19, in the Nanjing Deji Plaza outdoor plaza for the public's enjoyment. 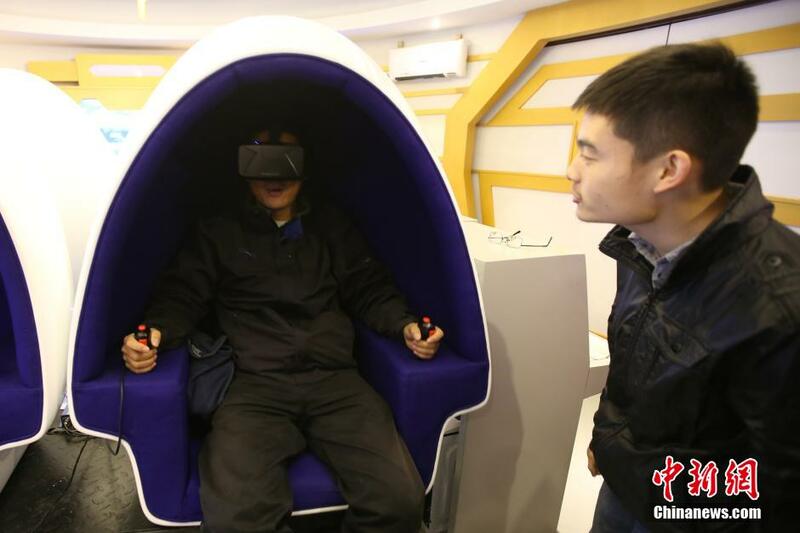 Inside, visitors can experience a trip into the weightlessness of space thanks to a simulator.